I’m a type of person who can’t live without planner because I want everything to be organized and one more thing, I tend to forget things if I did not jot it down. 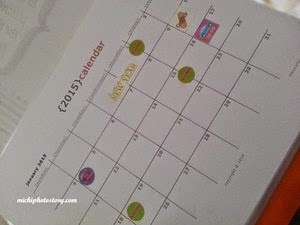 But this year, I did not buy any planner but I’ve made a family planner last November. Ooops, I did not make it, I just printed it. Hehehe! 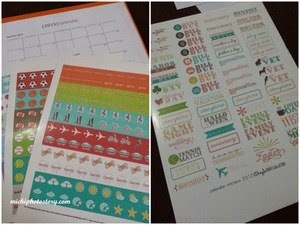 I got free printables from Pinterest. 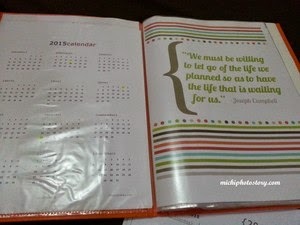 I bought clear folder where I put all the papers + clip board where I put the monthly calendar. I just hang the clip board beside my computer table. What I like in the family planner is I can just print the things that I need. I can add more pages that I love that regular planners don’t offer. Some printables are editable too so I can type all information before printing it like the birthday calendar or special events for the whole year. I’m a full time mom and I don’t carry my planner when I’m out. All I have is a list of things to do and things to buy. So I don’t mind if this is big compared to regular planner. I also like these free labels. 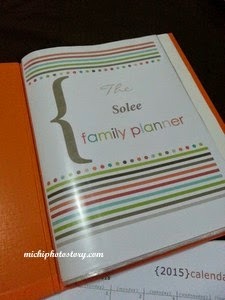 There are a lot of free printables in Pinterest but these are the links where I got my home management planner. Whenever people want to have a healthy lifestyle, juicing is one their choice in order to lose weight or cleanse the body. It is a good alternative for those people who are not into fruits and vegetables. Juicing also helps to nourish the body and get rid the toxins brought by drugs and alcohol. Check the infographic for more information. I decided to make a business card holder before the class resumes because I know that I’ll be busy again tutoring my son. 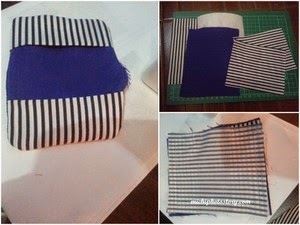 Business card holder is my second sewing project after I’ve made the pajama. I wanted to use the fabric scrap so it won’t put to waste. I watched You Tube videos for tutorial and it looks so easy. It is a five minute project but of course it took me forever to finish mine. Hehehe! My first try wasn’t successful because my calling card doesn’t fit. I tried it again and I did it. But I wasn’t satisfied yet so I searched for another tutorial and I found this site. I checked the step by step and I practice more. 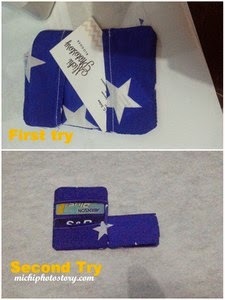 I finished four business card holder and I gave it to my friends. 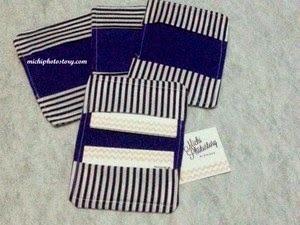 I’m now using the card holder for my calling card. 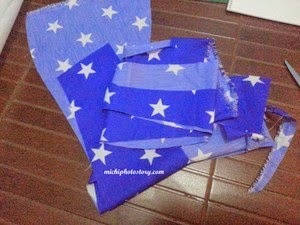 I will make more if I have new fabric. I dislike going to the hospital or clinic for check-up or labtest but I have no choice. Every year, since 2011 I always experience UTI or Urinary Tract Infection which I don’t really like because sometimes it will take 4 consecutive visits to the doctor before I get cleared. I’m so used already with my labtest such as urinalysis, urine culture and KUB ultrasound but two weeks ago my OB advised me to have KUB IVP. I have no idea that this will be the most expensive and uncomfortable labtest that I will ever experience in my life. Last January 17, after my check-up to OB, I immediately went to Radiology for my labtest but the staff scheduled me on January 20, 2015. She gave a flyer that I need to read because there’s preparation that I need to do before procedure. Sharing to you the flyer information. What is an Intravenous Pyelogram (IVP)? 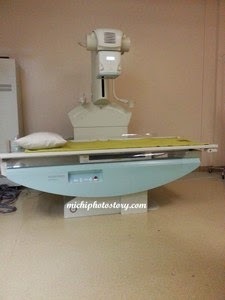 An intravenous pyelogram (IVP) is an x-ray examination of the kidneys, ureters and urinary bladder that uses iodinated contrast material injected into veins. An x-ray (radiograph) is a non-invasive medical test that helps physicians diagnose and treat medical conditions. Imaging with x-rays involves exposing a part of the body to a small dose of ionizing radiation to produce pictures of the inside of the body. X-rays are the oldest and most frequently used form of medical imaging. When a contrast material is injected into a vein in the aptient’s arm, it travels through the bood stream and collects in the kidneys and urinary tract, turning these areas bright white on the x-ray images. An IVP allows the radiologist to view and assess the anatomy and function of the kidneys, ureters and the bladder. Initially, the patient will be requested to have a Creatinine test prior the procedure, this will determine if IVP procedure if doable/possible. Good thing that this is part of my routine labtest so I already have the result which is normal. Take light meals of soft diet for breakfast, lunch or dinner. No fruits, vegetables or fibers. If not possible, may have light breakfast only. No meat, fruits and vegatables. Strictly clear liquid at lunch and dinner. An hour after clear liquid diet for dinner, drink 45ml of PHOSPO-SODA again. I’m not a fan of diet because I know I can’t take it so imagine how hard it is for me to have 3 days diet. Gutom na gutom talaga. I try not to blog hop and not to check FB and IG news feed so I won’t see any food pictures. My procedure started at 11 AM and I was finished at 1PM. I was lying on this table for 2 hours, doing a lot of position for the x-ray with IV on my arm. I was happy that I’m back to my normal diet after that procedure. 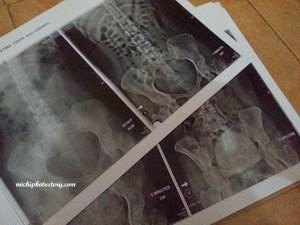 The result was normal again but my OB advised me to see Nephrology because of recurrent UTI. Yesterday, I was supposed to visit the doctor that my OB referred but she was on leave. We all know that vaccines are very important to our life. According to WHO, vaccines save 2.5 million children’s lives every year worldwide. Vaccines are not only to save our children but also to protect other children and adults in our community by reducing the chance of spreading the disease from person to person. But we could not deny that not all people can afford vaccines especially if you have a newborn who needs vaccines almost every month. We do have public health centers who provide free vaccines but not all vaccines that we need are available in the center so we have no choice but to go to private hospital or just let go of the vaccines. We are fortunate because our health card cover vaccines, all we have to do is pay and reimburse the amount. But for those who don’t have that benefits the question is, is there any way that we can save more on vaccines. 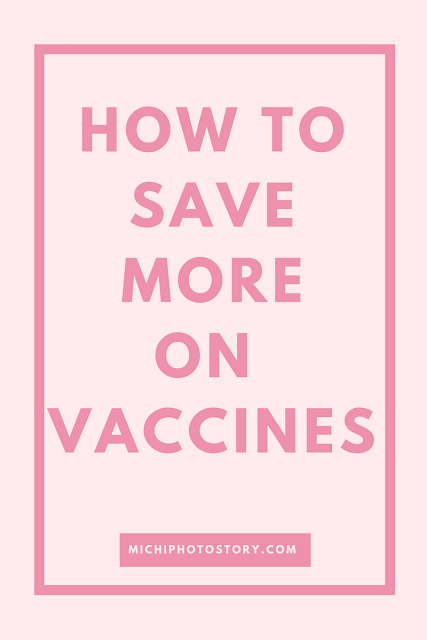 One mompreneur offers affordable vaccines. These pedia and adult vaccines are direct from manufacturers, you can buy the vaccines from her and you can bring it to doctor. I’m not affiliated with the business, I’m just sharing to you an option if you want to save on your vaccines. Here are the details but you can also check the FB page for more information, just click here. 2) Deposit payment to BPI account. Email/post deposit slip. MEET-UP REMINDER: Please be on time. 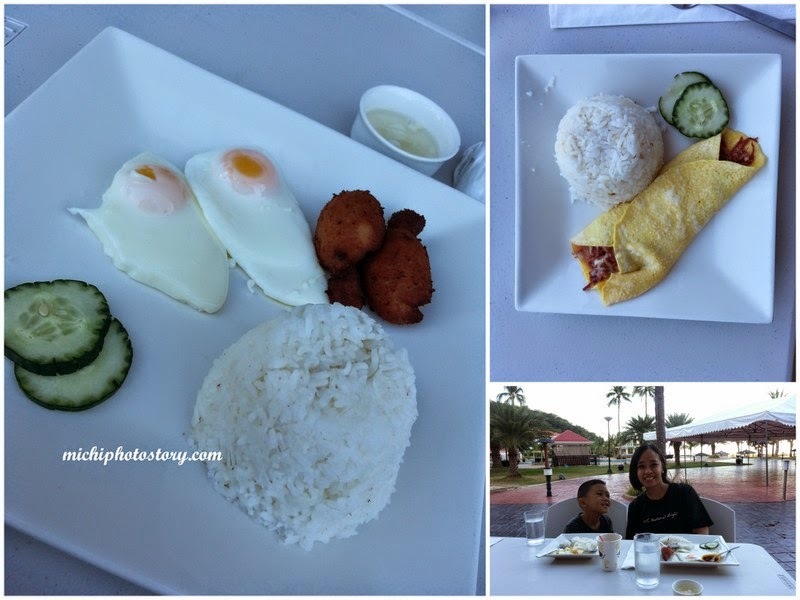 Our initial plan after checking out in Canyon Cove is to eat in fastfood in Nasugbu, Batangas but since we’re not really hungry, we decided to eat in Tagaytay area. I have a friend who always eat at Carlos Pizza whenever she goes to Tagaytay and she always tells me that she really likes the food there. So after two years, I finally tried the restaurant. We decided to eat here before going home. We ordered Mozzarella Sticks, Crispy Fried Chicken meal and Pizza Capriccioso, toppings are pepperoni, salami, ham, bacon, Italian sausage, mushrooms, black olives, green peppers and onions. 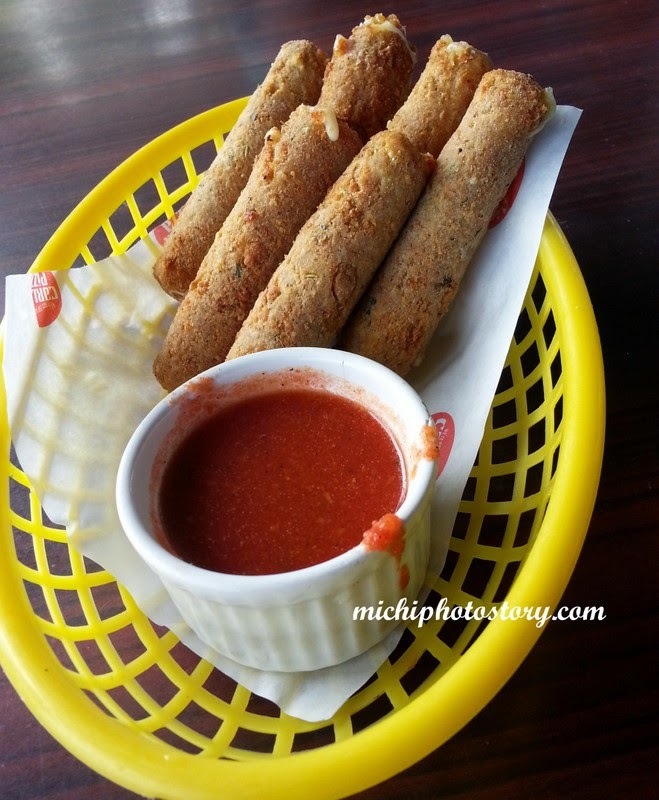 They first served the mozzarella sticks, it was my first time to try this starter and it was just ok for me. 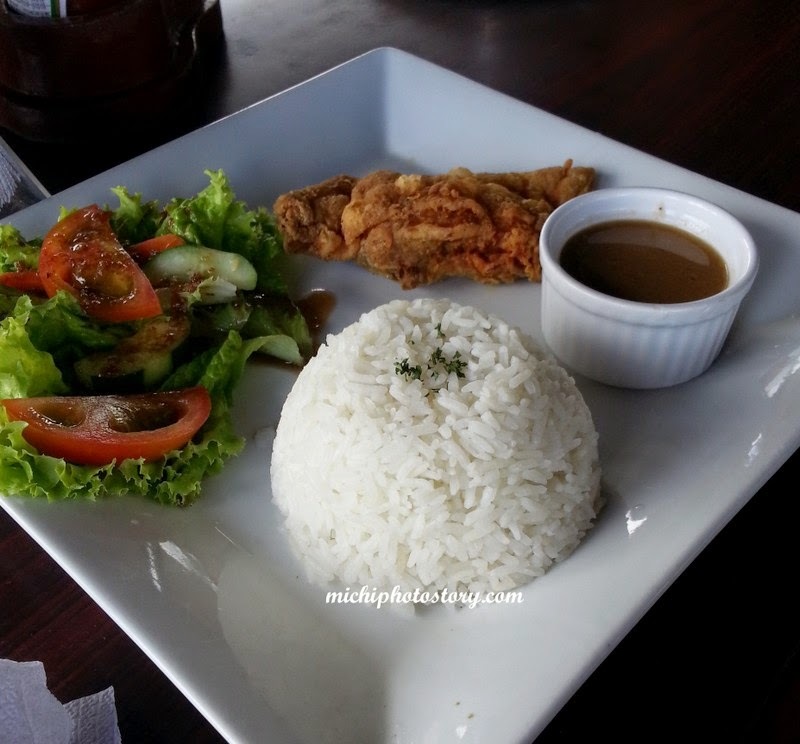 I tried the chicken of my son and it was just ok too but my husband enjoyed the fresh salad. It took them so long to serve the pizza and after one bite, nagkatinginan na kami ni hubby. 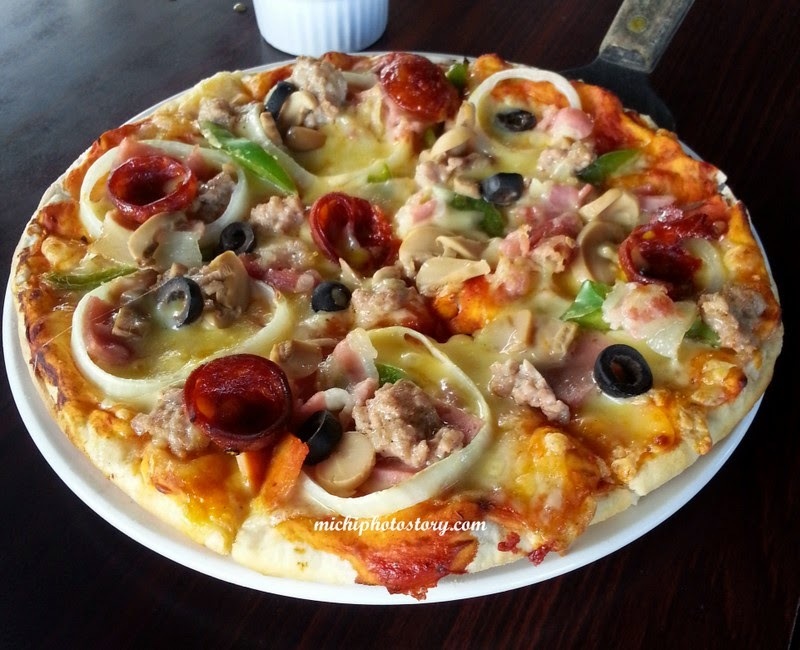 We didn’t like the taste of pizza, it is not really bad but it is not something that we love. Maybe we are expecting more because it is a pizza restaurant so they should serve good pizza. And because we didn’t like it, we just took it home. There were only three customers but it took them so long to settle our bill and even the glass of water that were asking was not serve. Two follow ups are enough so we just left the restaurant. Our experience was not good so I know for sure that it may be the last visit or it will take some time before we revisit. 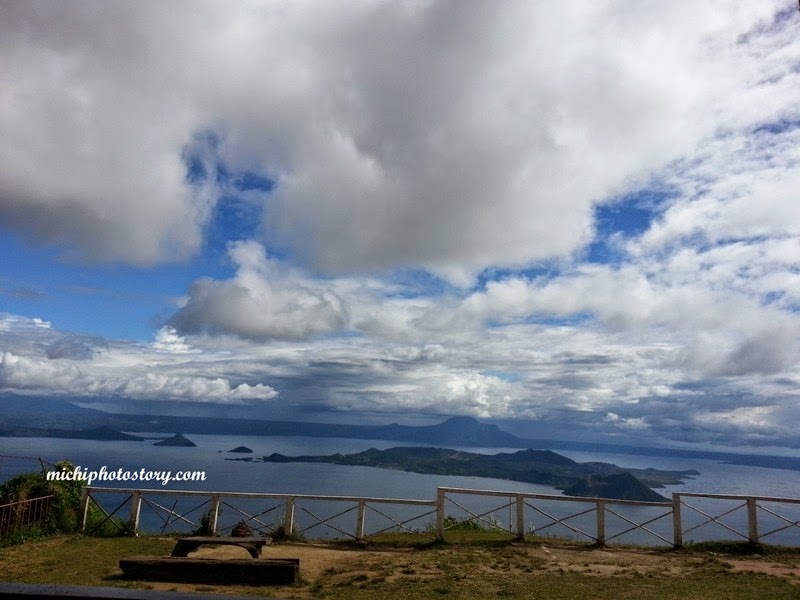 The only consolation of this restaurant is the great view of Taal Volcano. The following day, my husband brought the pizza in his office and surprisingly, he told me that he was able to finish the pizza. The pizza taste good. Good thing that the taste changed. SSS ID is one ID that I’m afraid to lose because that is one of my three valid ID’s and I know that it is not easy to replace. I still remember my experience when I need to replace my ID after I got married. I can’t eat lunch because I was still waiting for my name to be called and there’s no number at that time. From 9AM, I was inside the SSS office waiting for my turn and it was past 2PM when I finished. It took me months to receive my ID and I even went to the Post Office just to get it. 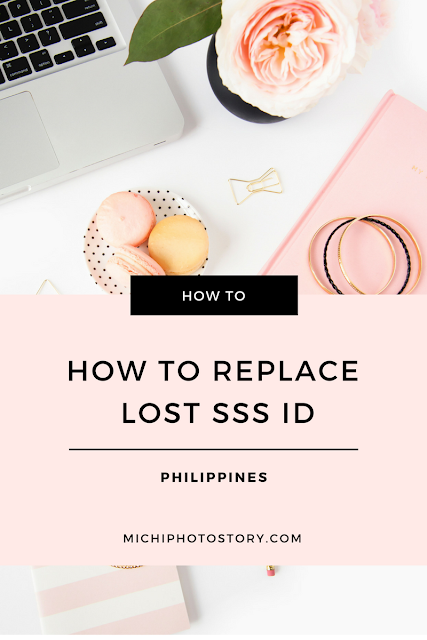 So when my husband can’t find his SSS ID, I know that he would have a hard time to replace it. My sister waited for almost two years before she got her SSS ID. Anyway, because of the Papal Visit, all employees in Metro Manila has no work so he took advantage the holiday to replace his SSS ID. I checked the requirements for lost SSS ID. My husband left the house past 8AM and I was surprised that he went home at 11AM. He went first to Attorney’s Office to get his affidavit of loss, he paid P150 for the document and went to SSS office. Since the SSS branch does not accept payments, he still went to the accredited bank to pay the P300. Now, we have to wait for 2-3months for his UMID (Universal Multipurpose ID). 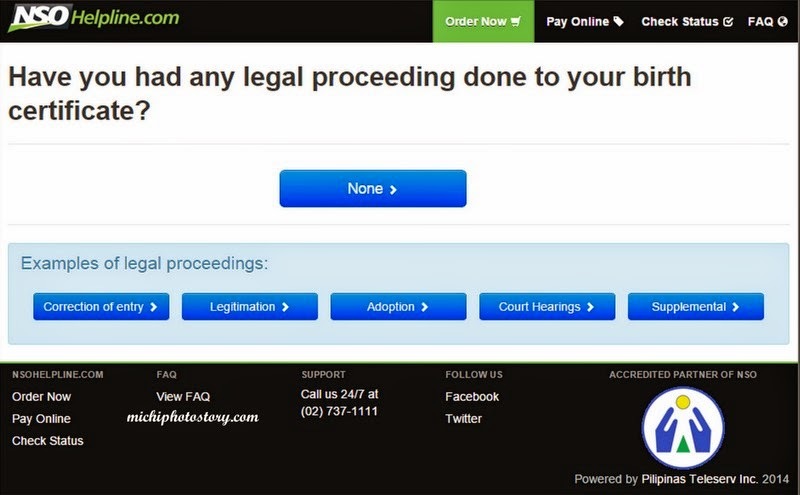 I’m glad that the process is not complicated anymore, no more long lines that I’ve experienced before. 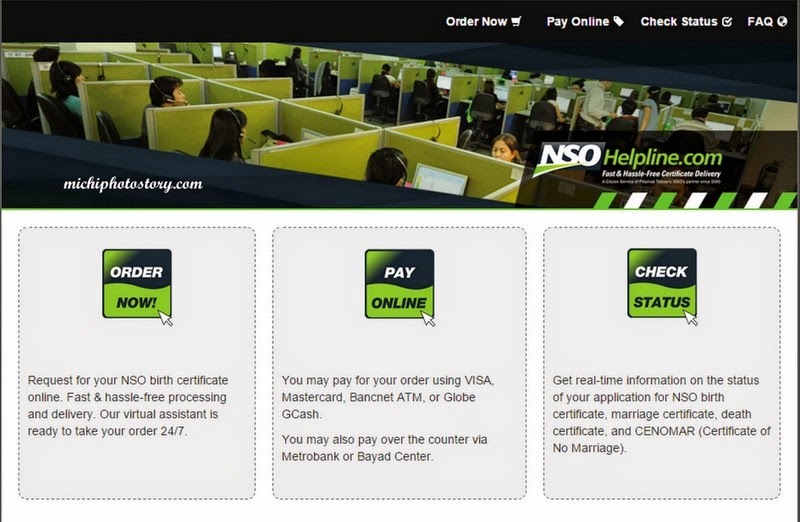 Last month, I told my husband to follow up his SSS ID because it is beyond 90 days already. I suggested to email or call the SSS branch. 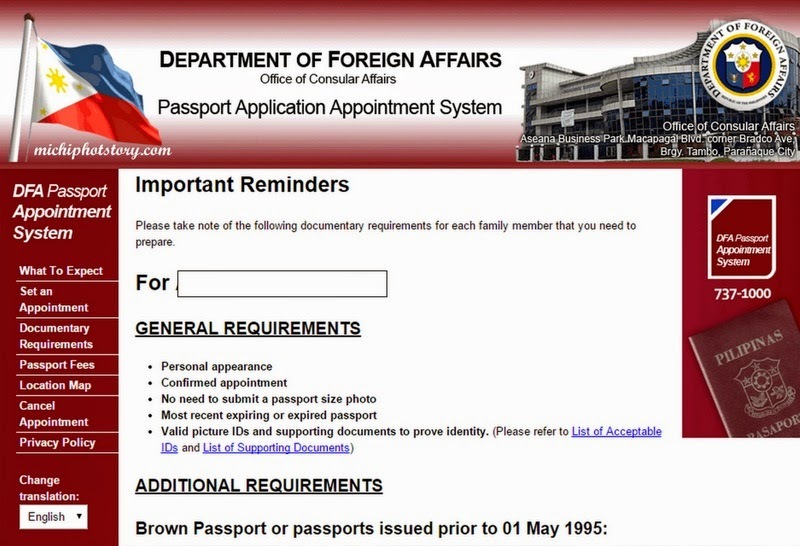 Email your complete name, SSS number, date of birth and date of application to sss_id@sss.gov.ph. But he was too preoccupied that he was not able to do anything. Today, I received the SSS ID. I checked the postage stamp. May 12, 2015 - Delivered to our house. Note: I'm not connected with SSS so if you have more concerns or questions that are not included in this post, please call SSS branch near you. So they could give you the correct information. The first and the last time I bought a voucher was almost four years ago, I bought Enchanted Kingdom ticket for my son’s 3rd birthday. I don’t usually buy online even there were moments that I was really tempted to buy a deal or voucher. And because of the mixed reviews that I’ve been reading all over the internet, I try to stay away from it. 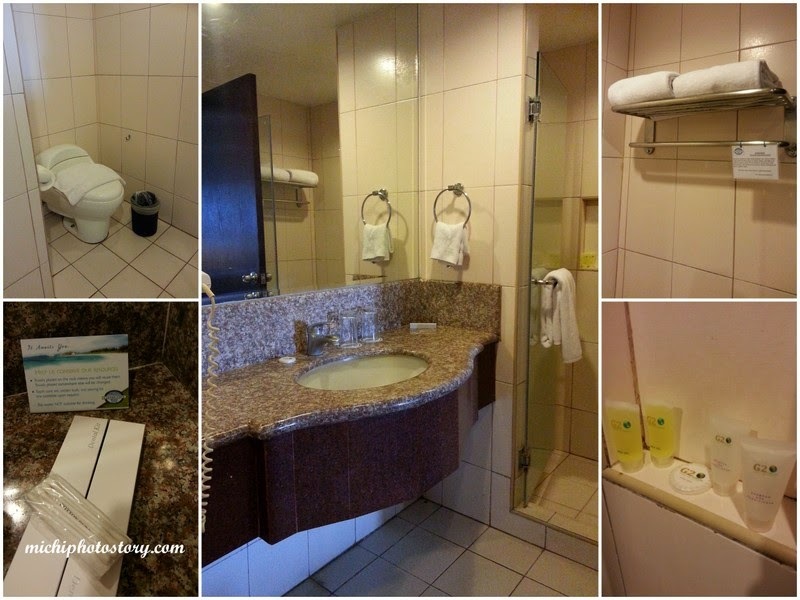 My friend availed the promo of “Overnight stay in Canyon Cove for 2 at P2999 only”. She asked her cousin to buy the voucher for us and I was in charged to book the voucher. 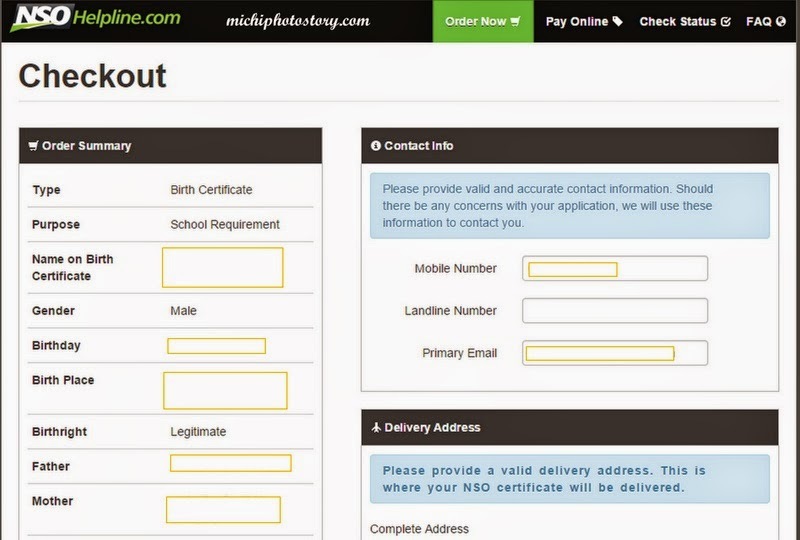 I was reading all the information and I’ve read that I have to book in IndoChinaStrings. I google it and I started to become worried because of the bad experience that I’ve been reading. So I decided to email Canyon Cove if I can reserve a room but I was informed to book in IndoChinaStrings. 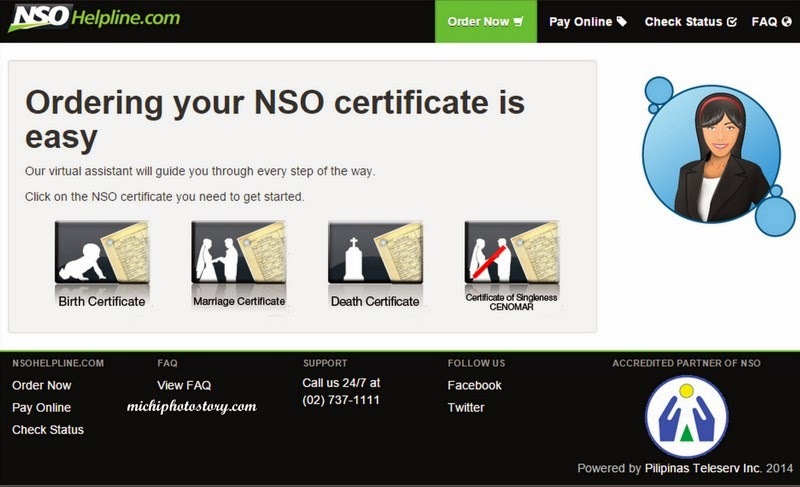 So I checked the site and the process looks so easy. But the problem is when I checked the “Room Availability Checker” there is no more weekend available for November and December. I was thinking na “baka naman wala talaga weekend” but I scrolled the other months, I saw few available slot for weekend but we wanted to use it on November or December. I’ve been checking the site from time to time and then I saw available slot for November 23, 2014 which is Sunday. I immediately informed my friend about it and I told her I need her cousin’s ID in order to reserve. 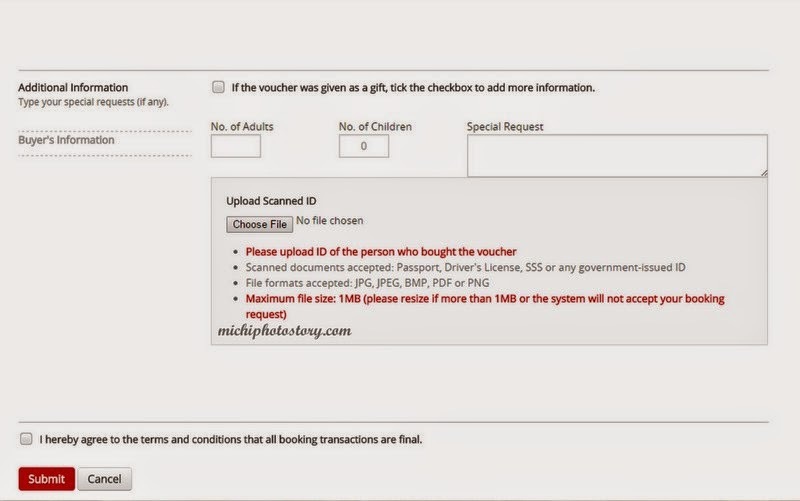 My husband called IndoChinaStrings office to verify the process of reserving as gift since we did not buy the voucher. 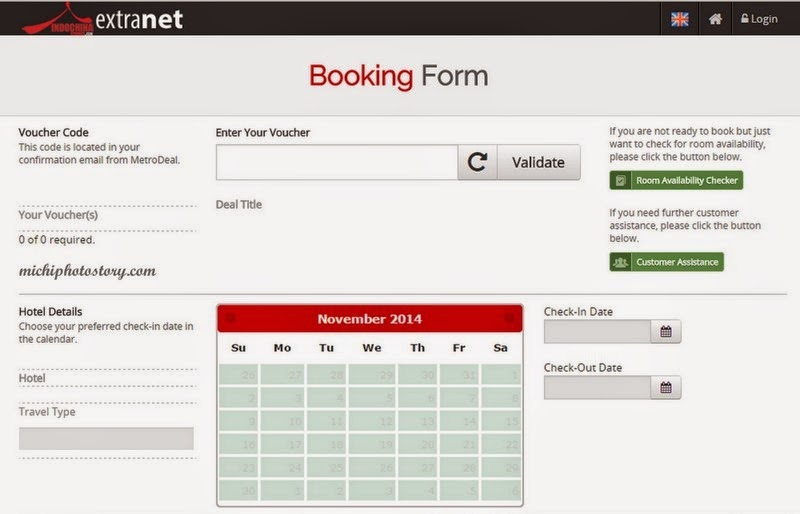 Click the Book Now, you will see the booking form and fill out the details. 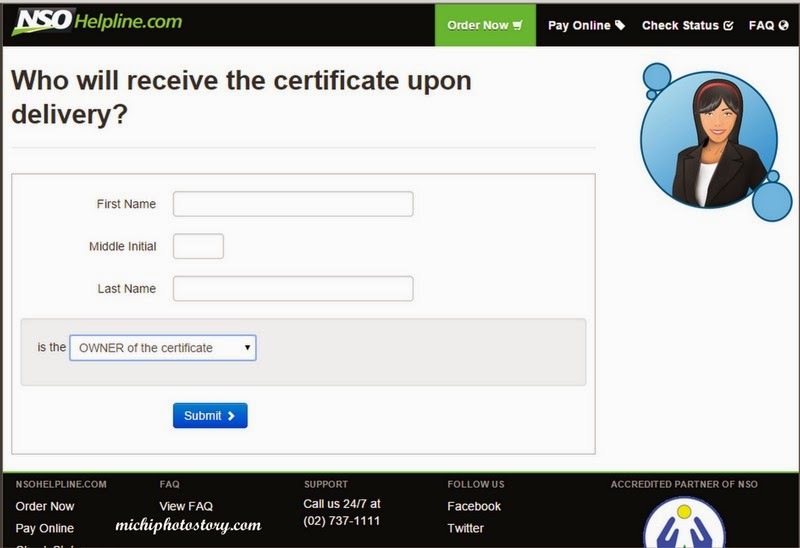 After submitting the form, you will see the booking acknowledgement. 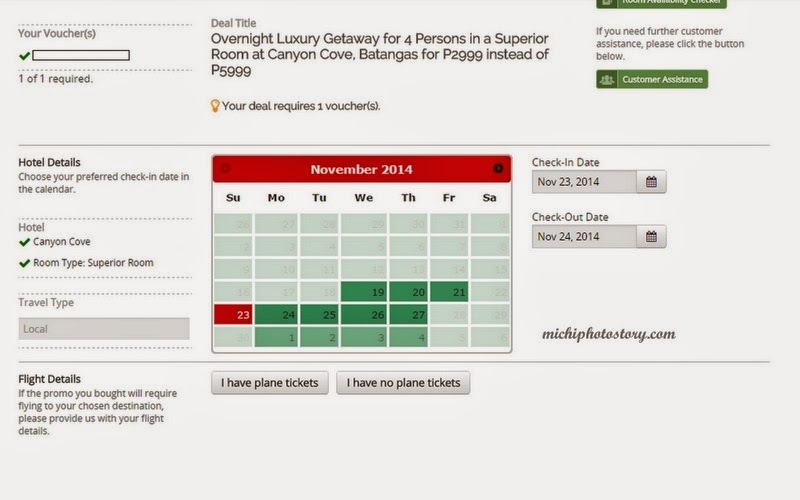 I booked last November 19, 2014 and on the same day I received my confirmation voucher. 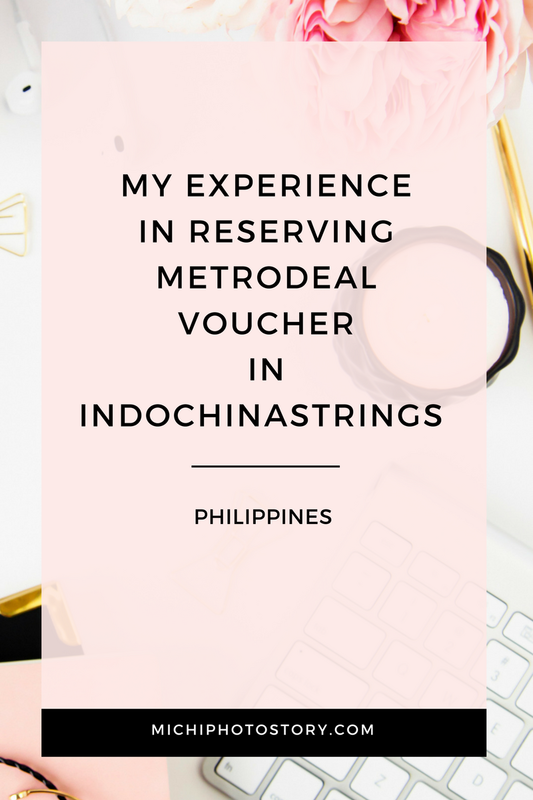 I was glad that I did not have any bad experience in booking our MetroDeal voucher in IndoChinaStrings. I think, before you purchase the voucher make sure you check the calendar first to ensure that your preferred dates are available. 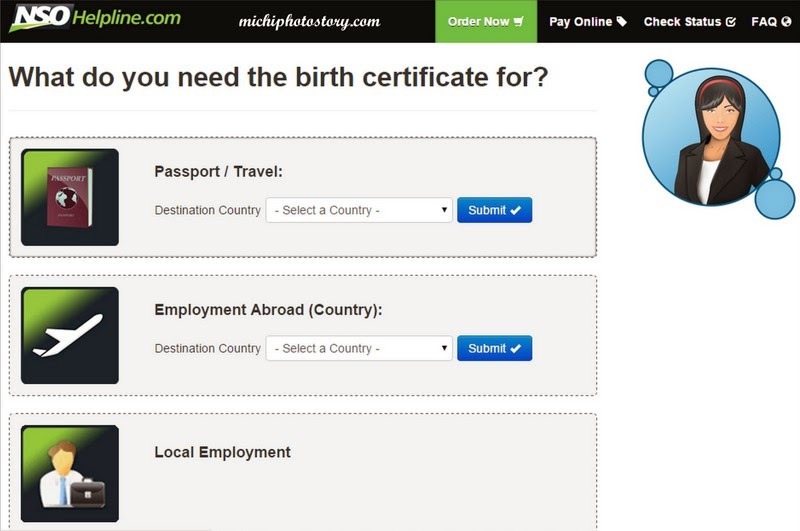 Click here if you need more information about IndochinaStrings-MetroDeal booking process. You have met the love of your life and the time you will spend together is exactly what you are preparing for. After the entire buzz about the wedding, all that you could think of is how you can start your life together with the most magical way possible. Now, where could be a good place to go for the honeymoon? Have you considered Costa Rica Rios adventure honeymoon packages? It may be the last country on your list, but it is definitely on top of the must-go-to honeymoon destinations in the world. It is perfect for couples who are just starting out. The natural surroundings especially the rainforests are a perfect reminder of why the couple got married and why they are starting a life together. The beautiful scenery and the lush forests will remind them of the love that got them together, to begin with. According to the top tourist destinations sites, Costa Rica ranked # 3 just a little after the famous Hawaii and even the gorgeous Italy. Its ranking has outpaced a lot of the other famous tourist destinations, not for the high rise buildings, but for the beautiful sunsets in its coasts that stretches up to 1,000 miles. The multiple tourist destinations in this small country in the heart of Central America have captured the hearts of many traveling honeymooners. To begin, the tropical weather makes it even more perfect for the outdoors. From spectacular rainforests to enchanting beaches, the abundance of nature and wildlife in this country definitely offers the adventure of a lifetime. Without a doubt, it is the country of romance, apart from the relaxation and rest that you deserve. If you’ve got the passion to explore what the world has to offer, then this country is waiting for you and your partner. Manuel Antonio is nature’s jewel that rests on the coast of Costa Rica. It is very close to the capital city that its accessibility basically lends itself to those who want to discover romance in the country. Manuel National Park offers adventure activities like kayaking, parasailing, rafting and even horseback riding. You will get a spectacular view of the ocean and wander like a romantic looking for love. Tamarindo is considered as one of the country’s most well-loved tourist destinations. The sensational sunsets make it simply impossible not to love the place. Fun, relaxing and stress-free – that’s exactly what you are going to get. 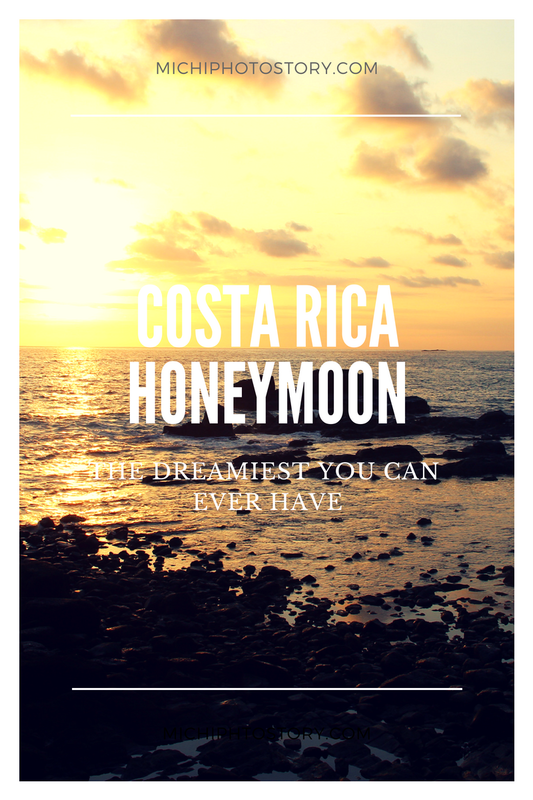 There is no doubt, Costa Rica, is an ideal location for those who are starting a life together. It is the perfect destination for those who want to celebrate love. Costa Rica is blessed with great weather conditions that help their rainforests survive. At the heart of the forests come eco-friendly lodges that were built to make you experience the wonders of nature from within. Because most of these eco-lodges are self-sustaining, with organic farms growing their own food, honeymooners could only expect to be served with the freshest ingredients every time. What better food to have on your first few days together, right? Author Bio: Larissa James is a lover of nature that she goes distances to discover more if it. She loves to travel and explore what the world has to offer. Gone are the days that we have to wake up early just to fall in line in DFA. I once experienced that when we first applied for our passport in DFA Pasay and we can’t even take our lunch at baka mawala sa pila. Hehehe! And because of that experience, I decided to renew my passport in a travel agency. The price is steep but at least I can save time and effort because I don’t have to be absent from school or work. But last 2010, I was so thankful because Pilipinas Teleserv has changed the process of applying and renewing passport. It was my first time to renew my passport without the help of travel agencies. I just scheduled an appointment and went to DFA Aseana. If my memory serves me right, I set my appointment last May 2010 and the earliest schedule that I secured was July 2010. 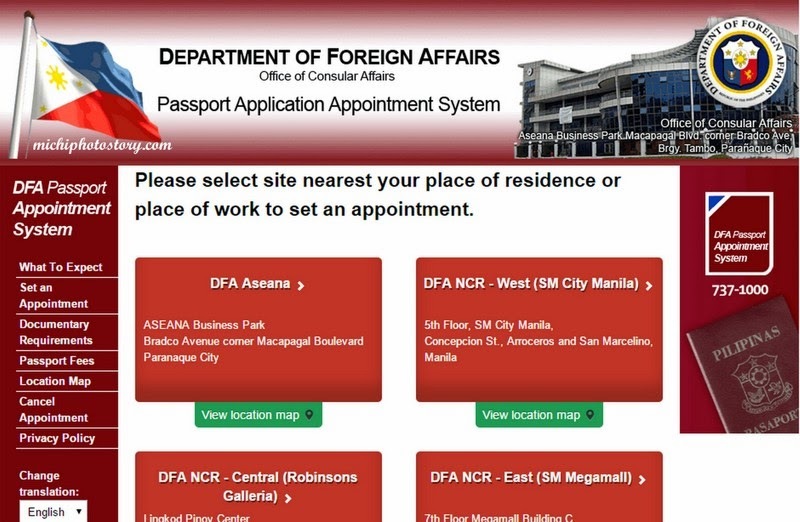 Last Thursday, I visited the DFA Passport System site so I can schedule our appointment. Even though this is the fourth time that I will renew my passport, it seems like a first time again. I’ve made mistakes on my first appointment because I did not see the location, my appointment was in DFA Aseana but we prefer DFA South Metro Alabang branch because we live in South. So I scheduled an appointment again. 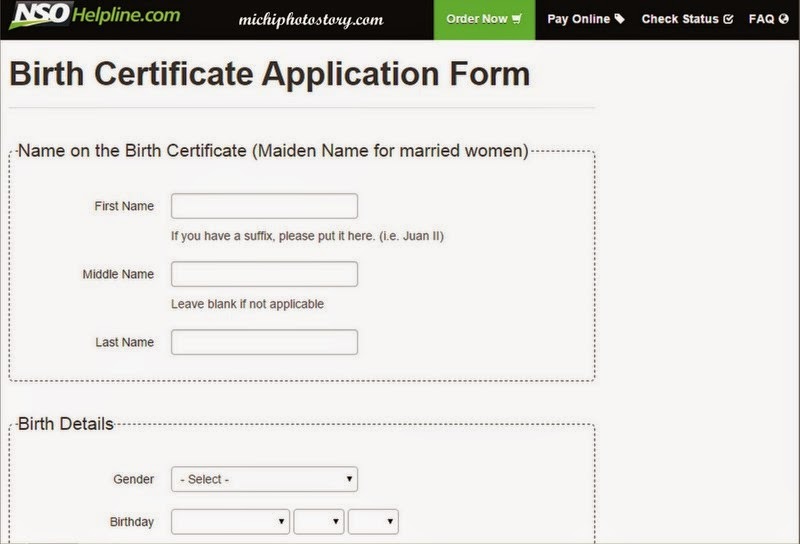 As usual, I applied for Family Application, the process is so easy. 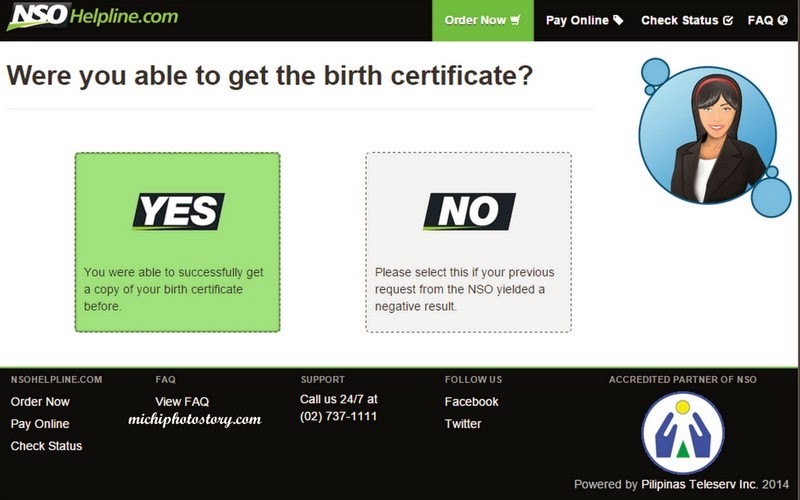 I just filled out the form, chose delivery option, regular processing and submit. 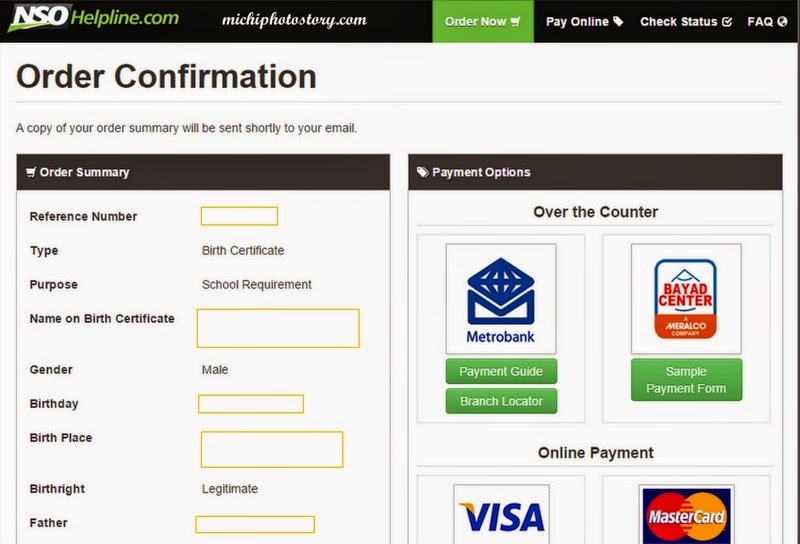 After you submit the form, you will see the reminders and requirements. Read carefully. Then set your appointment, choose date and time. I was happy that there is weekend schedule so my son won’t be absent in school and my husband doesn’t need to file a VL. But unfortunately, I’ve read that all appointments on weekend are considered a rush order so I have to pay P1200 + P120 for a delivery fee per person. Lastly, you have to check your email to confirm and print your application form (long bond paper). I was also informed that my DFA Aseana appointment was already canceled. No need to set an appointment if you are qualified for a courtesy lane. Just visit DFA branch near you and bring the required documents. • Media Personnel must first secure an endorsement from Public Information Services Unit (PISU) before going to Courtesy Lane. 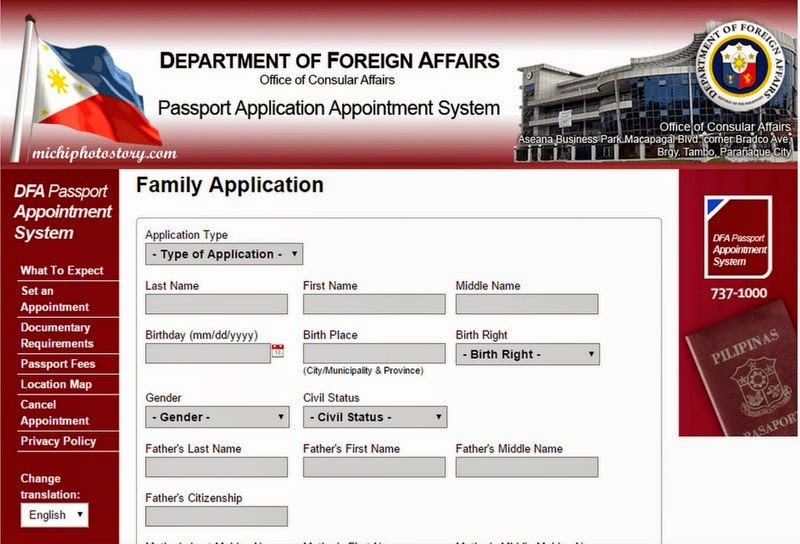 * Employees of the Department of Foreign Affairs (DFA) can refer or endorse only immediate family members to the Courtesy Lane, immediate family members include the grandparents, parents, parents-in-law, spouse, siblings, children and grandchildren of the DFA employee. Must secure proper endorsements duly signed by authorized signatories of their respective offices. Only original copies will be accepted for verification purposes. Photocopy of DFA employee’s valid I.D. / government agencies official’s Department I.D. 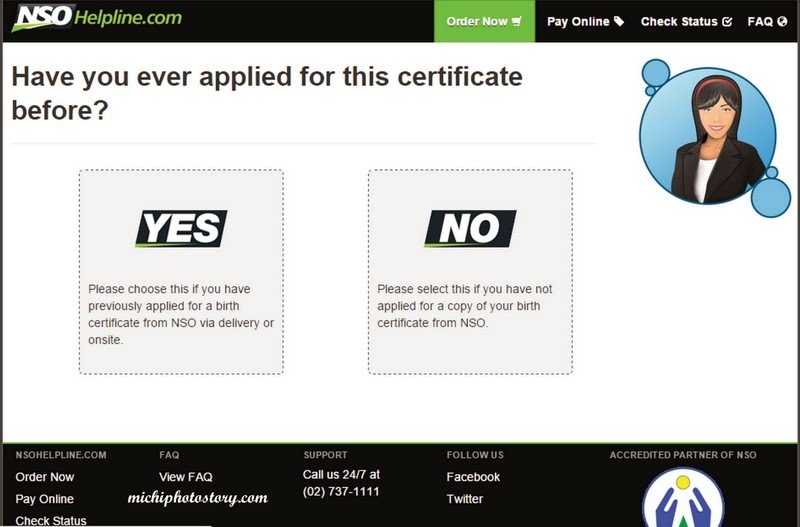 must be attached for verification purposes. 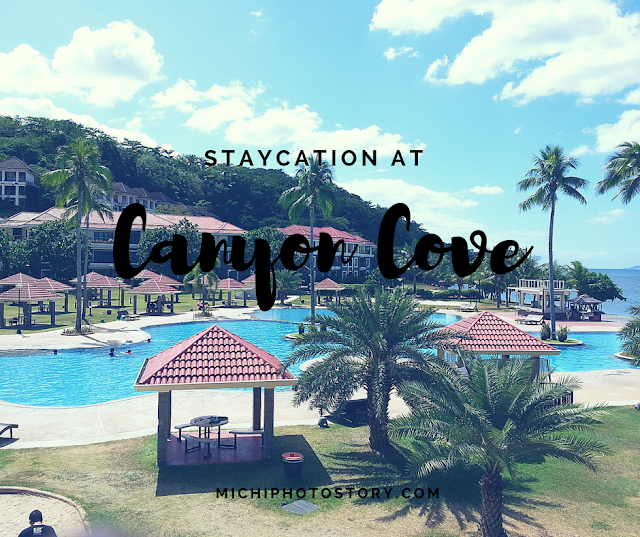 I’ve been meaning to visit Canyon Cove but because of the mixed reviews that I’ve read, I was hesitant to reserve a room. 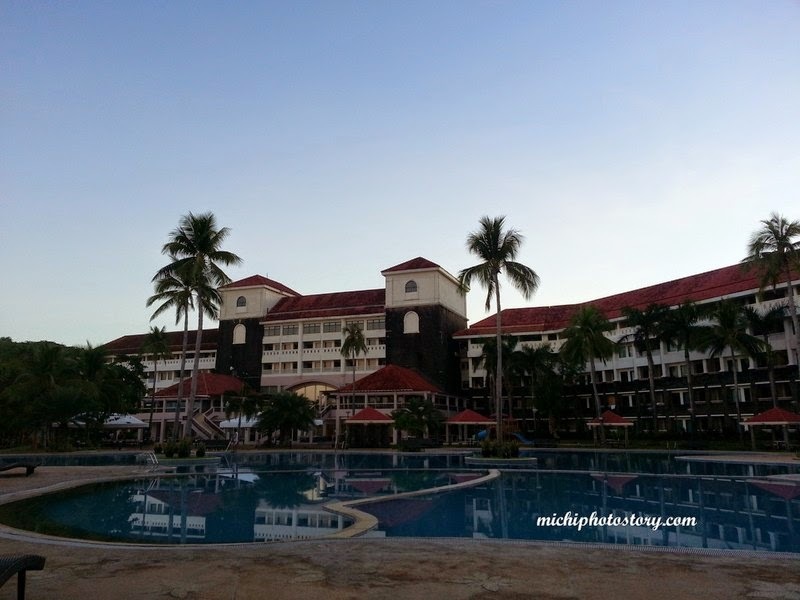 Last May, my husband’s team building was in Canyon Cove and he wanted to celebrate his birthday there. 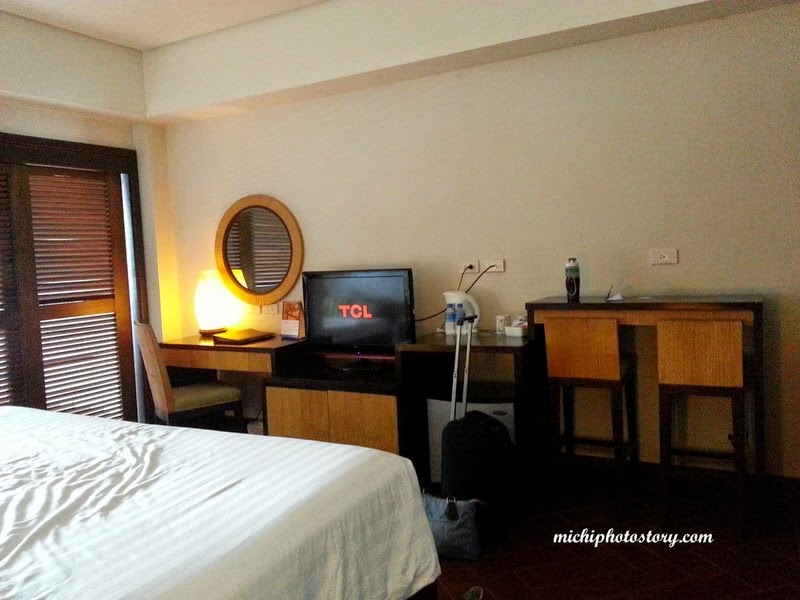 He called the resort to reserve but unfortunately, there’s no more room available so we spent his birthday in Bellevue. 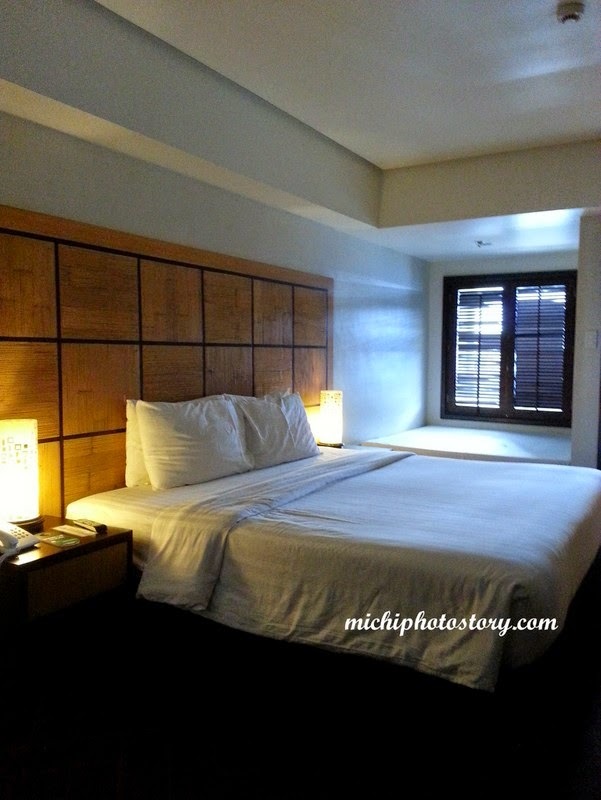 We tried reserving after two months but we had the same fate so I celebrated my birthday in Crimson Hotel. 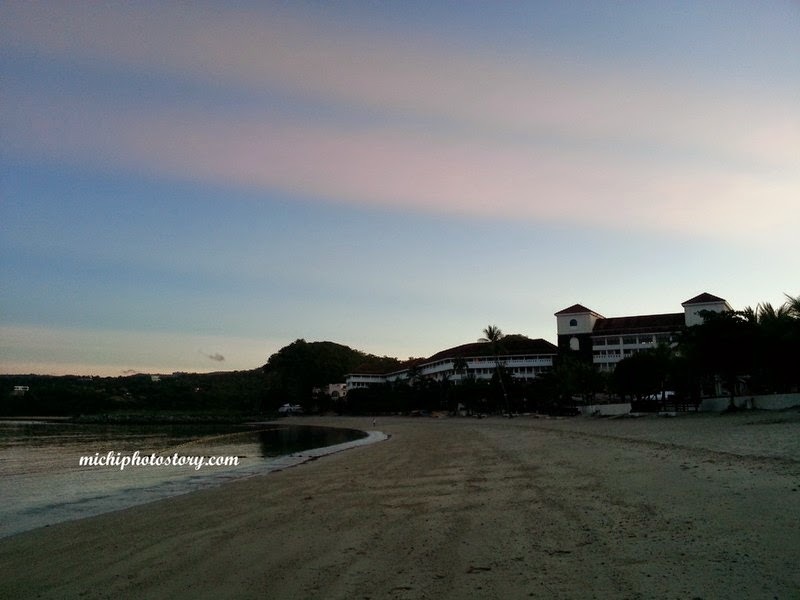 By the way, you can also book Canyon Cove in Nasugbu, Batangas with Traveloka. Again after two months, my friend messaged me that she saw a promo in Metrodeal, P2999 only for overnight stay in Canyon Cove. I told her that I don’t have Metro deal account and I can’t use my credit card yet. She said, siya na bahala. My friend bought two vouchers and we decided to use it last November, the problem is I have to reserve the voucher in IndochinaStrings and I’ve read a lot of bad reviews so I was really worried na baka masayang yung bili namin. Checking the calendar, I can’t see any weekend anymore for November and December. Almost everyday ko yata siya check until I saw available schedule for November 23 so I immediately told my friend about it and nagkasundo na kami na absent anak namin ng November 24. Lol I just followed the process in booking Metrodeal voucher, I was worried pa nga because I reserved the room November 19, so baka di maprocess but after few hours I received our confirmation. Yehey, this is it! 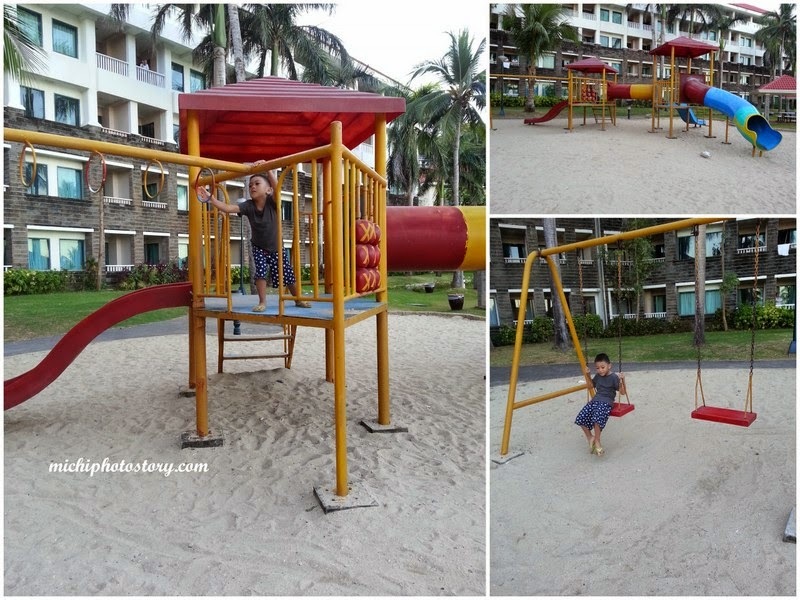 After my long introduction, sharing with you our staycation in Canyon Cove. 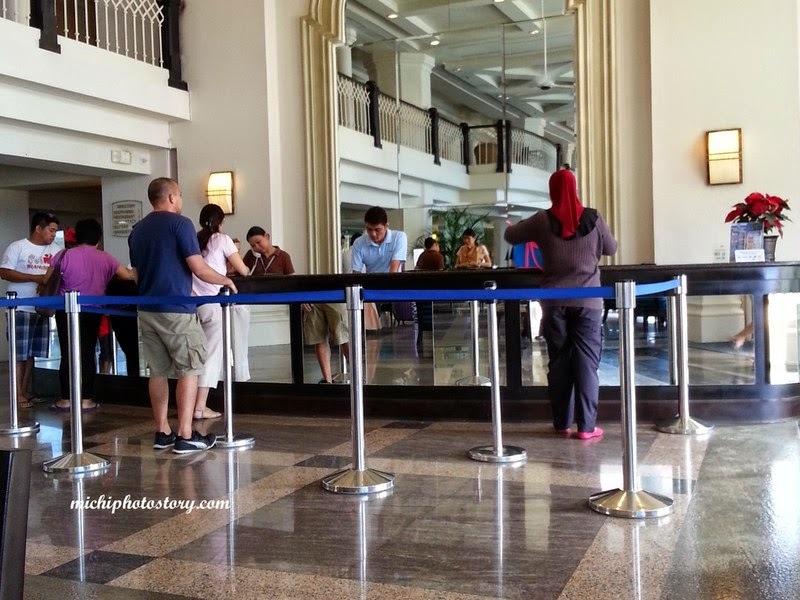 We were there at 12NN so the lobby was crowded so pinatapos namin lahat ng nagcheck-out bago kami pumila. 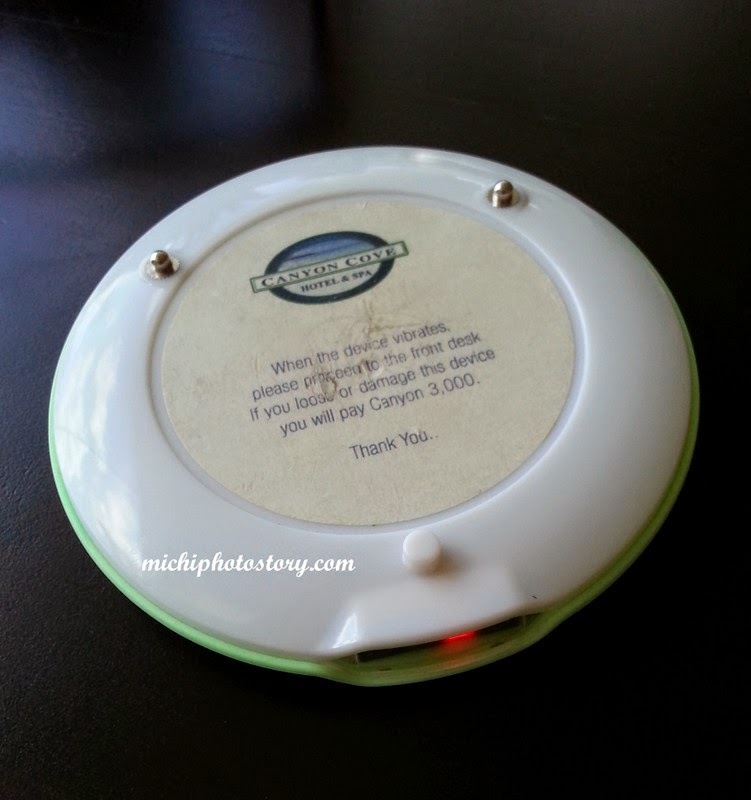 We just gave the confirmation letter, MetroDeal voucher and valid ID, the staff handed me this gadget. Nung napapatagal na, iniisip ko kung gumagana ba talaga yun. Lol But I can’t complain because I’m aware that check-in time is 3PM and our room was ready before 2PM. Tooth care set, cotton buds and sewing kit are available upon request. 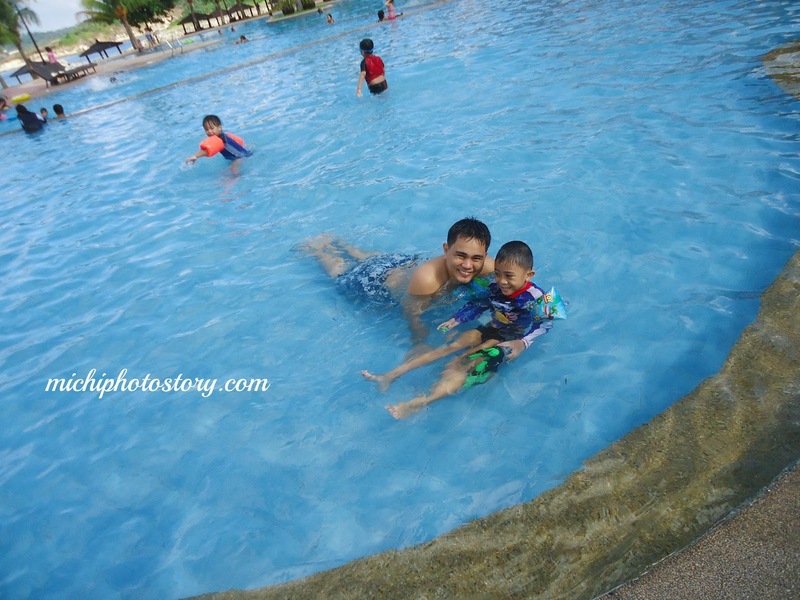 We rested for awhile and off we went to swimming pool at 4PM. 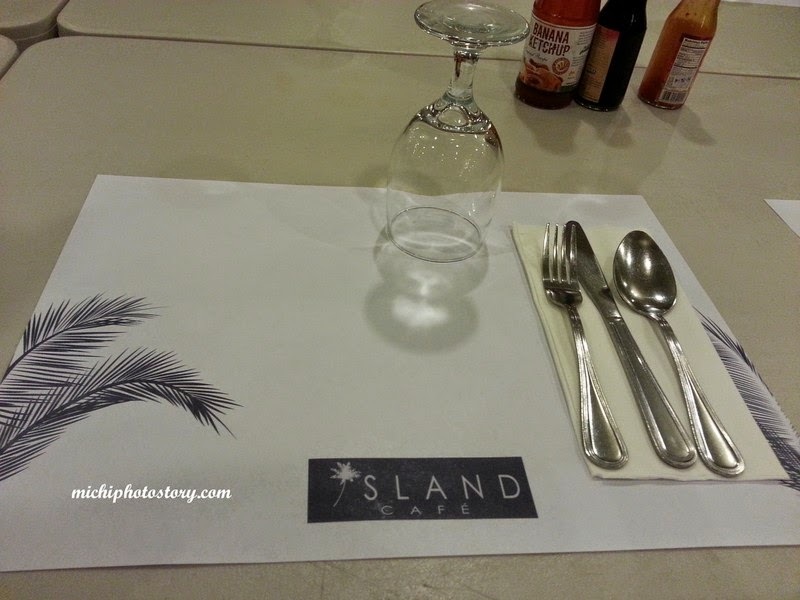 Then we had dinner at Island Cafe (Max’s Restaurant). Sorry, no food pictures because we’re all hungry. The following morning, we had an early walk before breakfast. We ate again in Island Cafe for breakfast. If I remember it right, the breakfast meal price is P200-P250. We ordered the corned beef omelet and longganisa. I did not like the longganisa but the corned beef is good. Yun 2 lang kasi available that day so no choice. 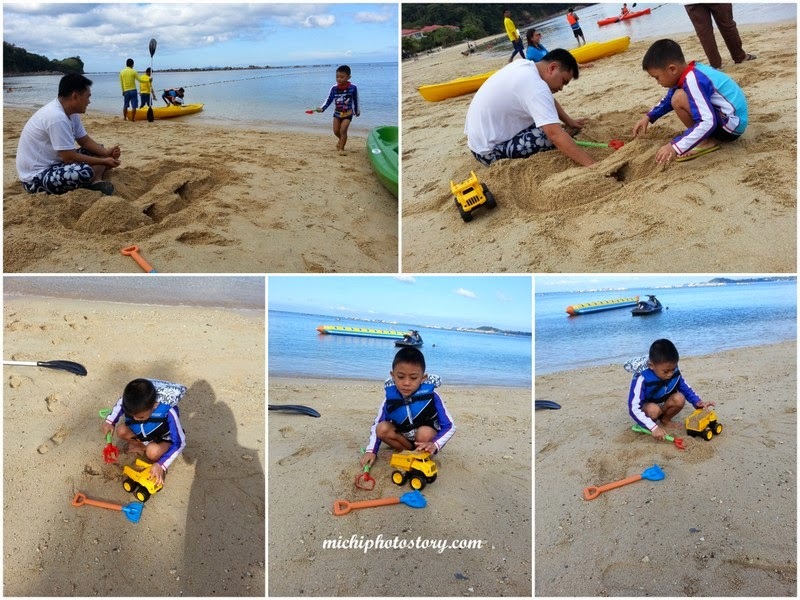 Nagplay na lang sa sand. 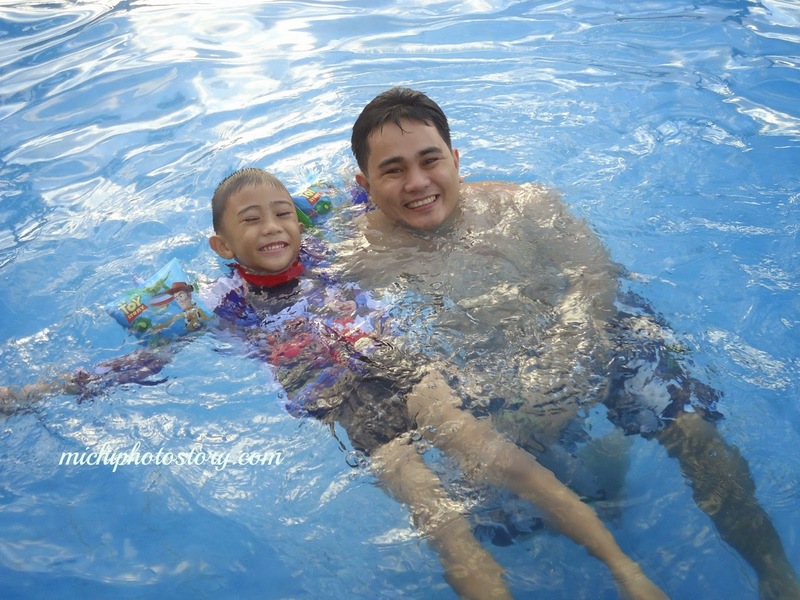 After playing in the sand, they spent the rest of our staycation in swimming pool. 1. I like the place. Though you see some traces that resort was already old, you can still appreciate it because the place is still beautiful. 2. I like the pool and the beach. I prefer their beach compared to Calatagan and Laiya. 3. I like the day bed in our room + terrace. 4. 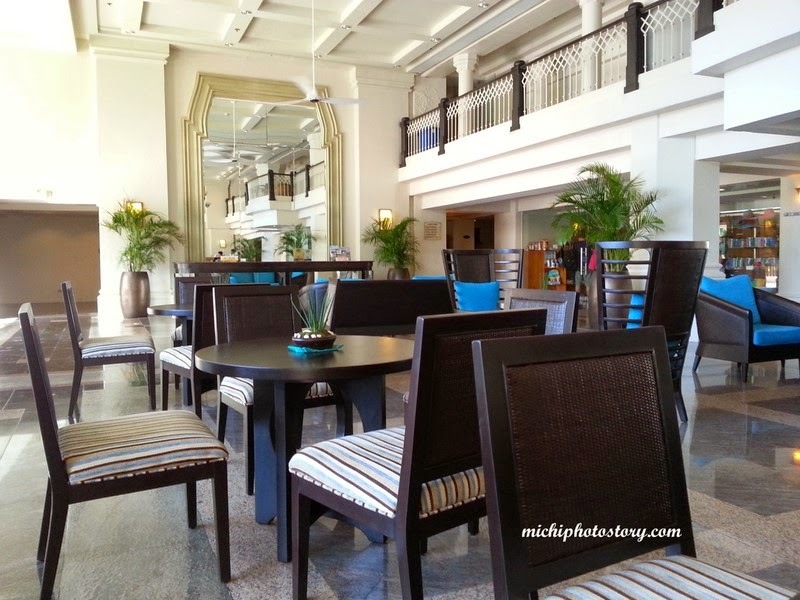 Free wi-fi in the lobby. 1. Safety deposit box is available but not working so I always bring our important stuff with me. 2. No laundry bag available so make sure you bring your own for wet clothes. 3. No bath tub in our room. 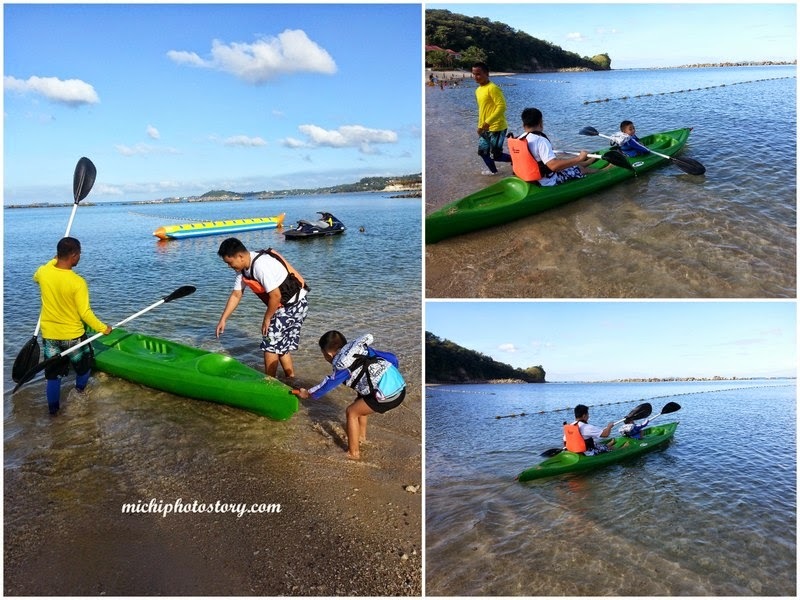 We had a great time in Canyon Cove so for sure we will revisit.